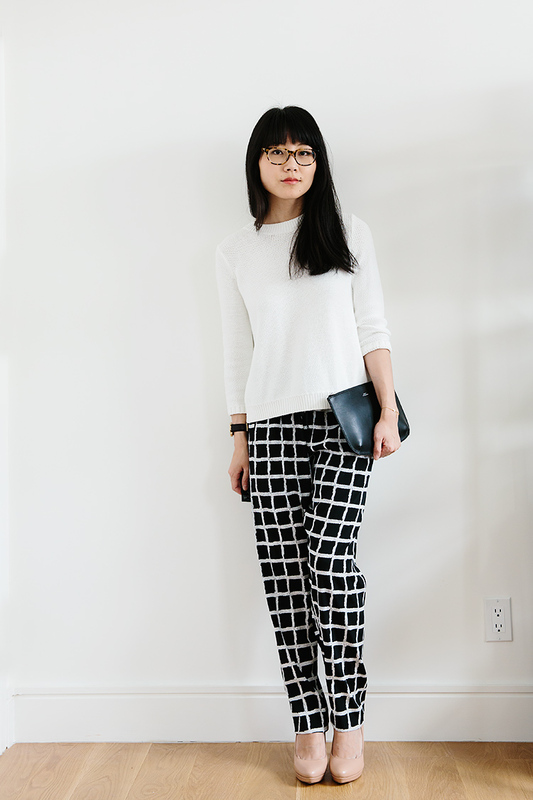 printed pants are totally my jam this season. you look great - fun and put-together and chic! These are awesome. I'm never brave enough to go for printed pants...maybe I should try? Ooh these really suit you.. and I love that clutch! I think this look looks perfect. Simple and classy is always the way to go when in doubt! I love your pants! They are so cute and unexpected! Those wouldn't be mistaken for pjs at all. Lovely! They are FAR from looking like PJs. I love them! The pants are stylish and look super comfy. As a petite girl myself (5'0"), I often buy capri length pants or even tall-sized crops because they are the perfect length without hemming (as long as the proportion is accurate). 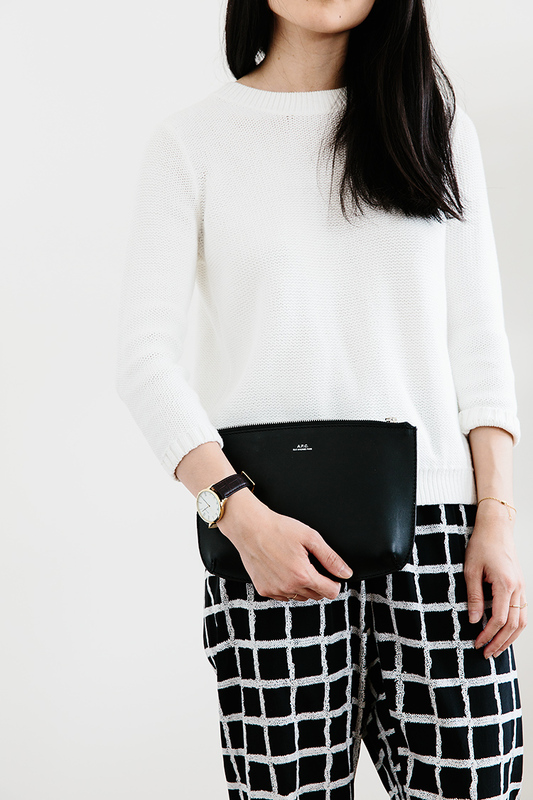 Love love these pants and that bag - ugh to die for. love the pants! Look great on you. I just bought my first pair of printed leggings. I'm slowly adding bold colors and prints to my wardrobe.